For a very limited time, the SoMa Mission is delivering a special pilot program - a kid's version of The Way to Happiness!! This is an abridged and simplified edition of the popular booklet especially for young readers. Please call for more details. The ability to communicate is one of the most fundamental abilities of a being. The processes of Grade Zero address a person's ability to communicate and free him, in his own estimation, from any blocks in the area, thus restoring the ability to communicate to anyone about any subject. Ricky completed this Grade and says, "The relief I got to be able to communicate with others myself is so great! The added feature is the increased ARC with others and knowledge that goes along with it. I highly recommend this process to all!!" Here is a photo of Ricky and his auditor Carol. 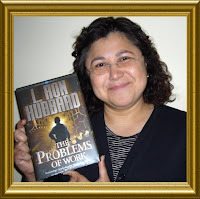 "It was great to finally read Dianetics: The Modern Science of Mental Health in its entirety. I really admire LRH not just for figuring out a solution to aberration, but for delivering it with such fantastic results. Dianetics processing is such an art and it takes much persistence and determination to deliver it. 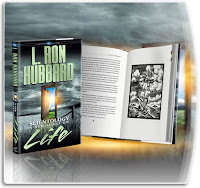 I admire all those who joined LRH on the road of Dianetics as well. 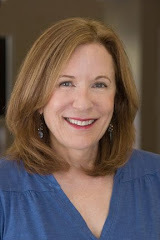 I'm looking forward to reading on and learning about each stage of advancement of the tech." K.N. 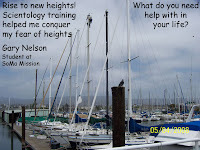 "I decided to take this course to get some help in handling my problems at work. I was dealing with several management changes, low morale among staff, policy and organizational changes. Since beginning this course, I have applied some of the methods and I have experienced a boost in my overall participation in the changes. I have also experienced a more positive outlook on my work and how I can apply ARC. But the biggest success I have so far is my improved relationship with my sister. I have re-established communication with my sister and will continue to strive for a better communication and high level of affinity for her and the rest of my family."